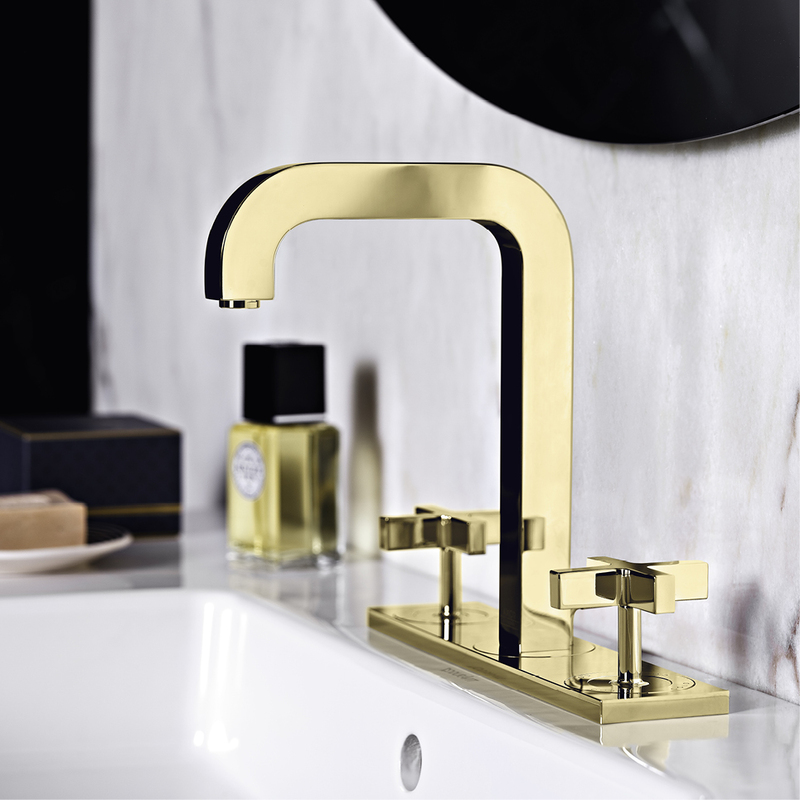 The huge variety of shower and tap choice can be overwhelming – from stylish monobloc basin mixers to freestanding Victorian Bath Fillers, and they come in many different finishes – shiny chrome, matt stainless steel or the latest on-trend brass and copper. 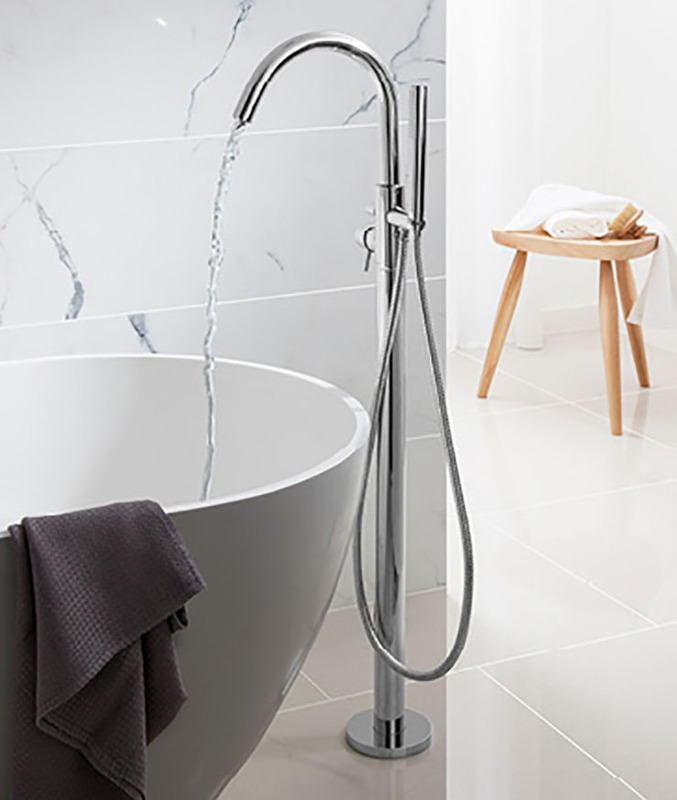 A good starting point when choosing the correct shower or tap for your bathroom is to talk to us and get expert installation advice. 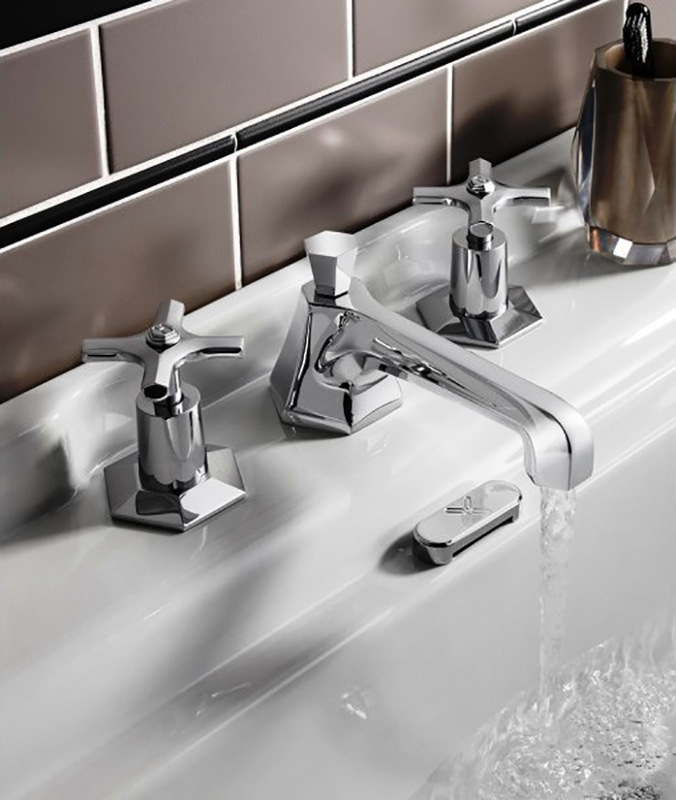 Many of the German systems need a water pressure of 3 bar to function correctly. 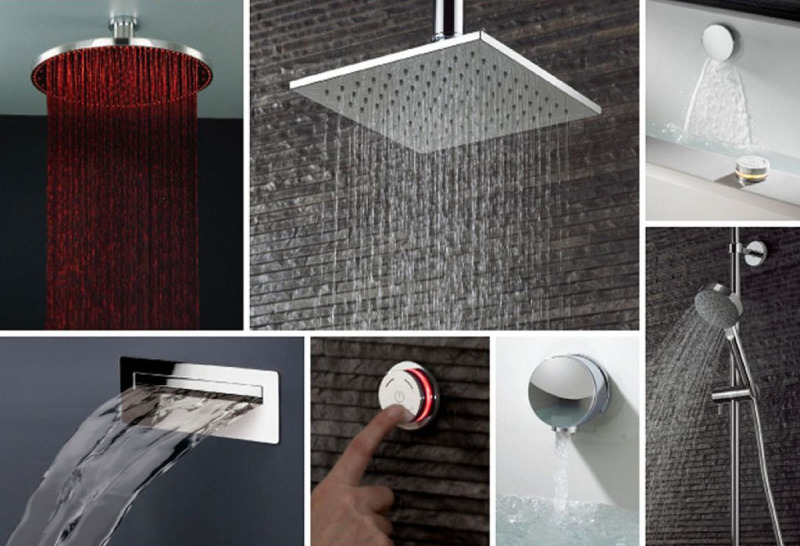 We can advise and guide you through our massive choice of high quality taps and showering systems. 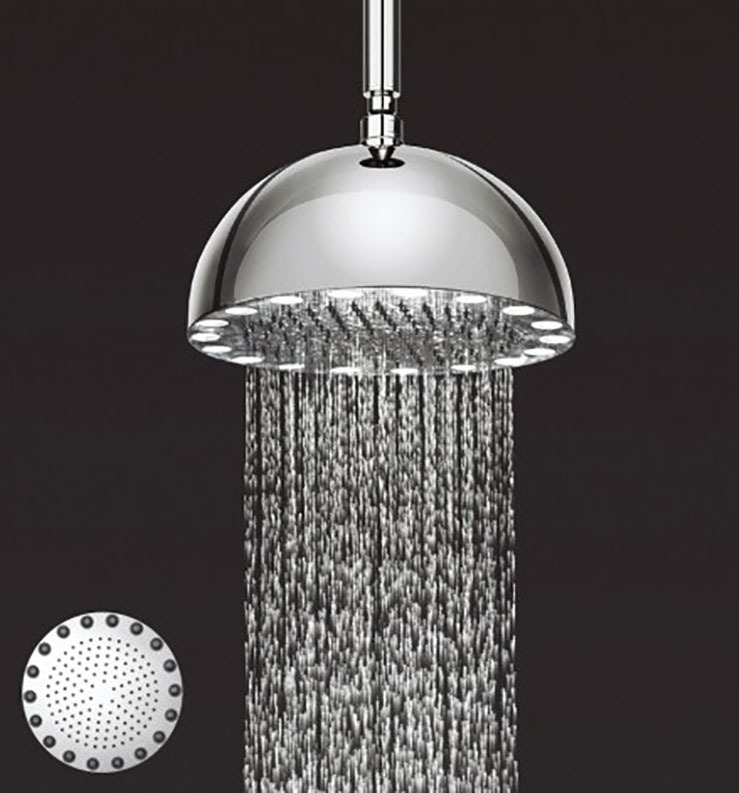 Choosing a high quality tap or shower valve or shower system is an investment. 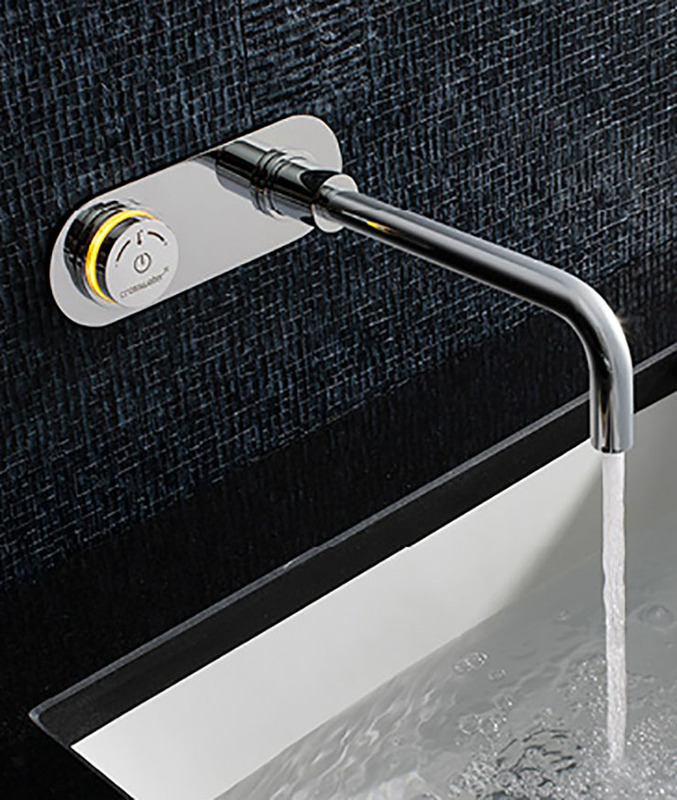 You might pay a little more but on the other the tap will last you and not break after a couple of years. 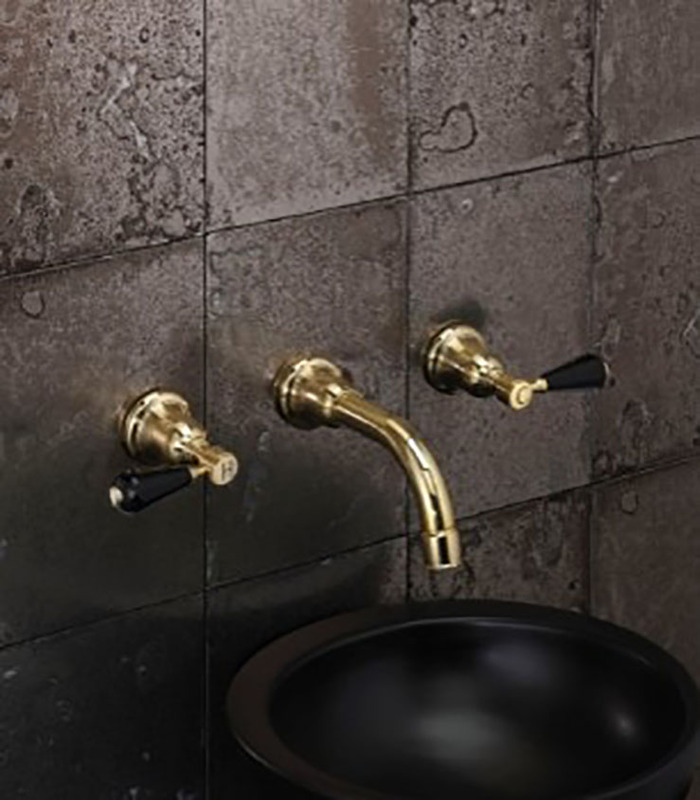 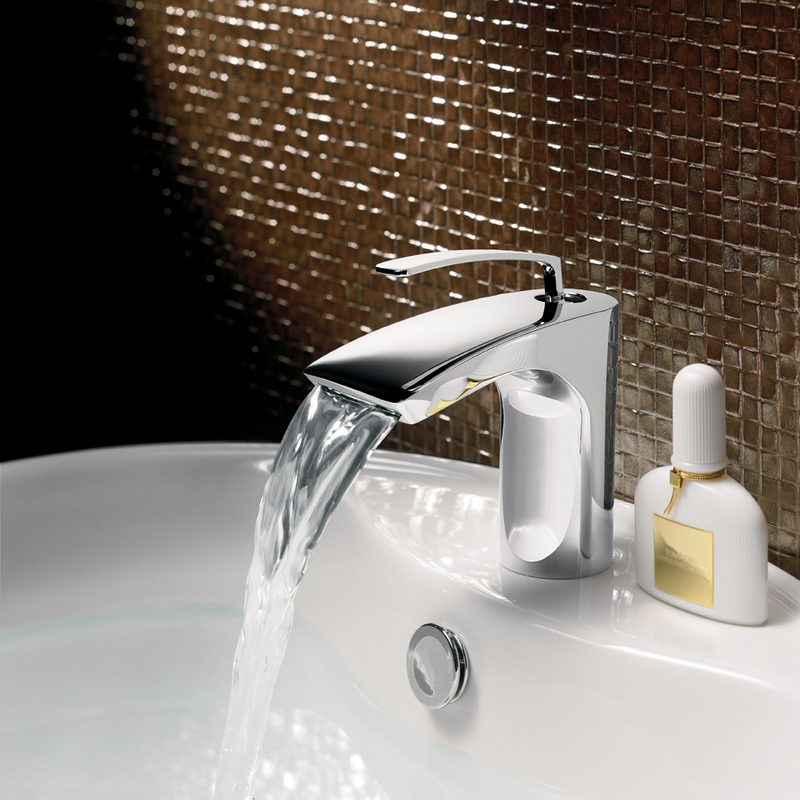 We have on display a huge range of brassware: at the top end we have brand leaders Hansgrohe with their iconic Starck One and Axor collections. 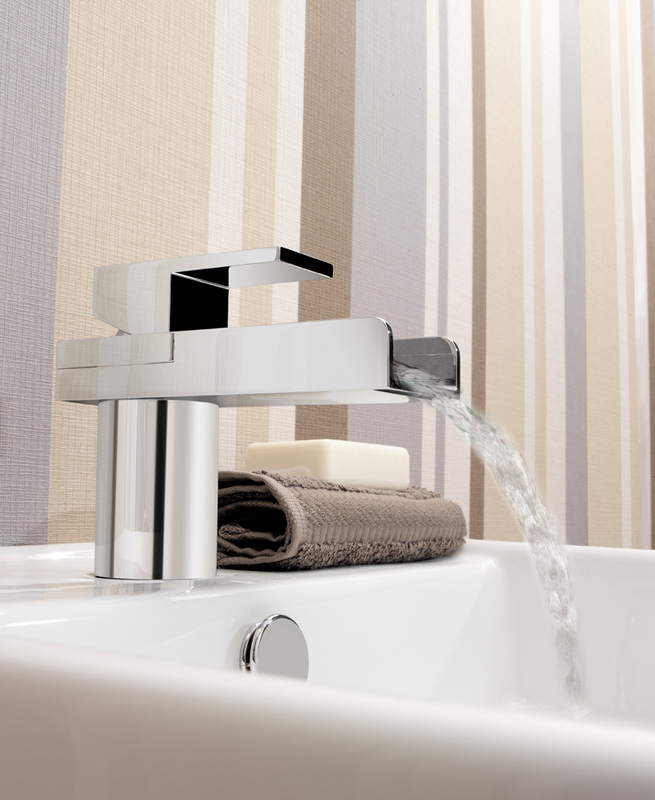 One of our most popular and mid-priced ranges with a huge choice of superbly designed taps and showers is Crosswater. 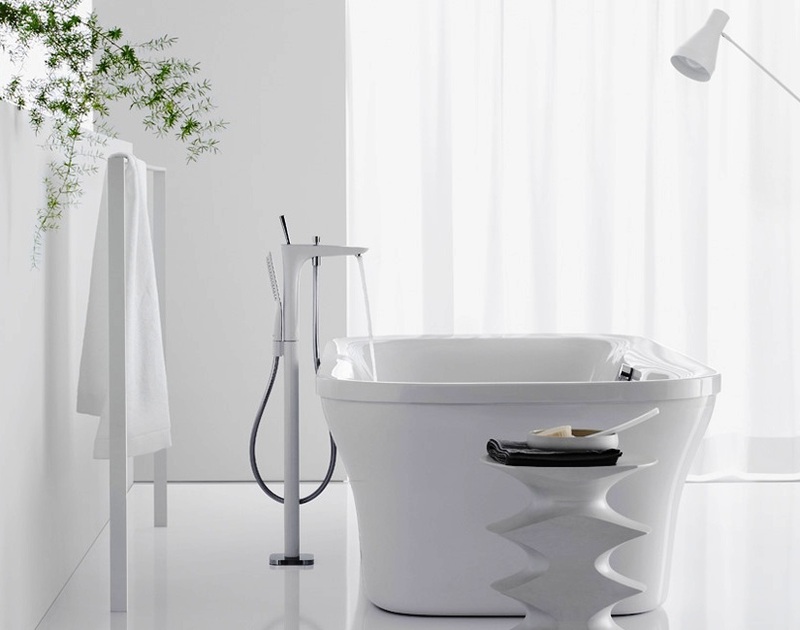 They provide style with high quality and at a reasonable cost. 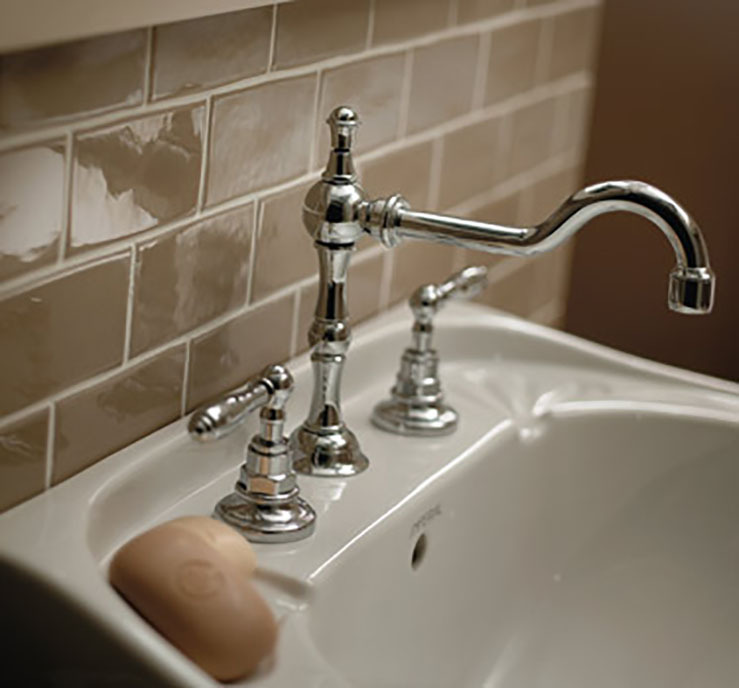 Crosswater match many of their taps to their ranges of bathroom furniture, for example they manufacture a curvaceous vanity unit called Svelte, and have an elegant and shapely tap, also called Svelte which perfectly offsets the curves of the unit. 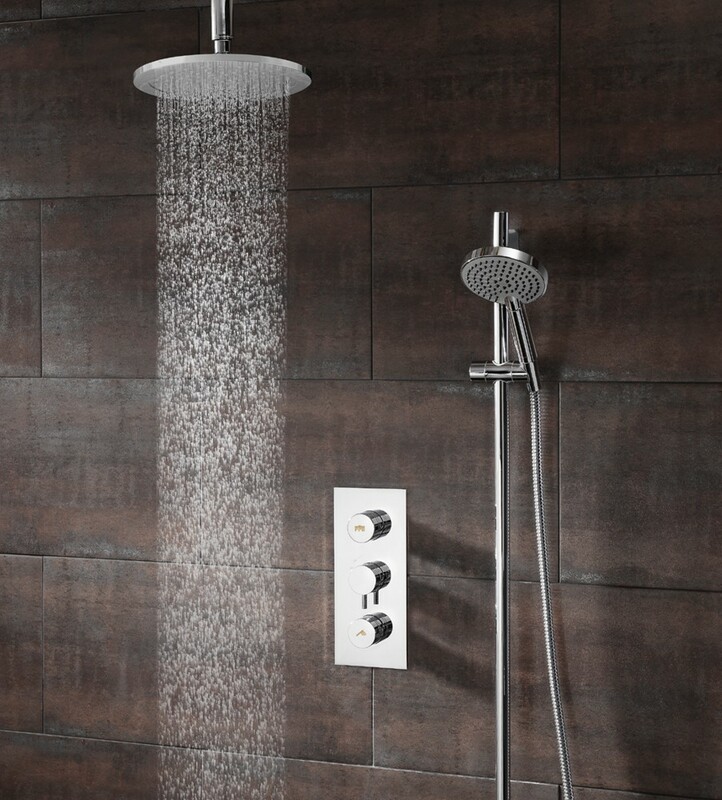 Shower valves and shower heads also come in many different shapes and styles, offering the choice to switch between overhead fixed showerheads and moveable handsets. 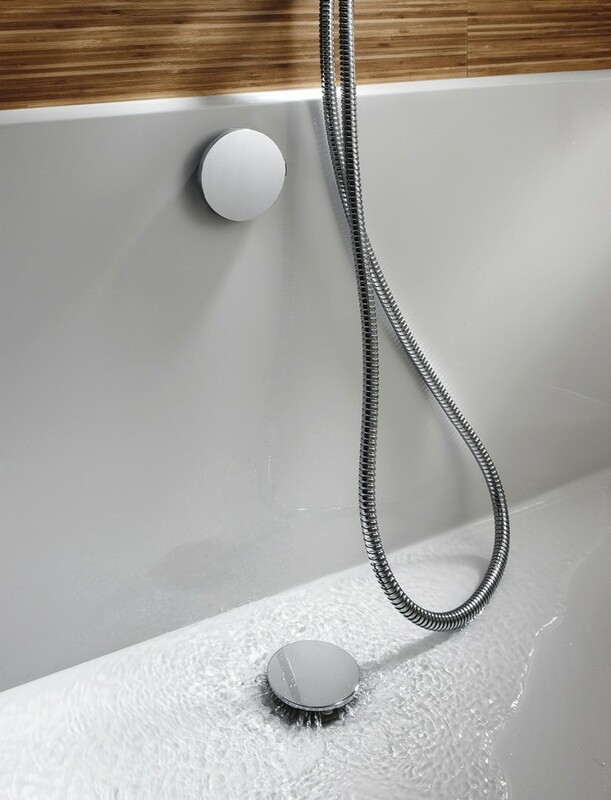 Crosswater offer a Digital range which consists of round on/off buttons which are illuminated with different colours according to the water temperature. 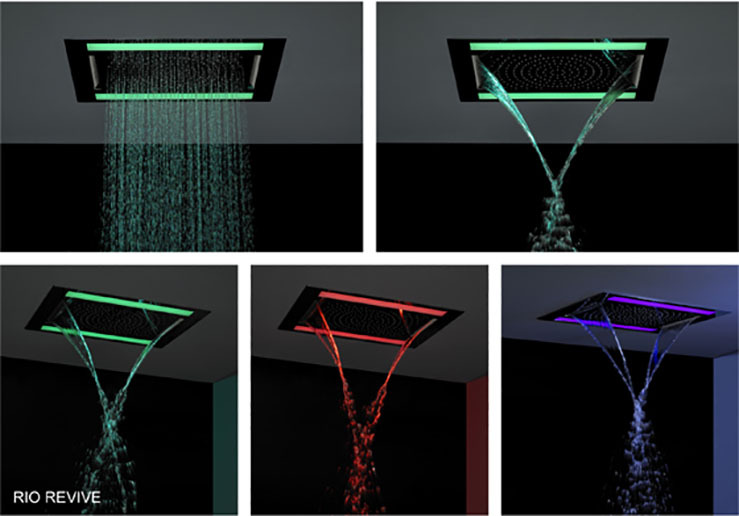 These can be positioned outside the shower enclosure and switched on so that the water is at the desired temperature before you step into the shower.